Joshua channels computer game into gauntlet-throw! 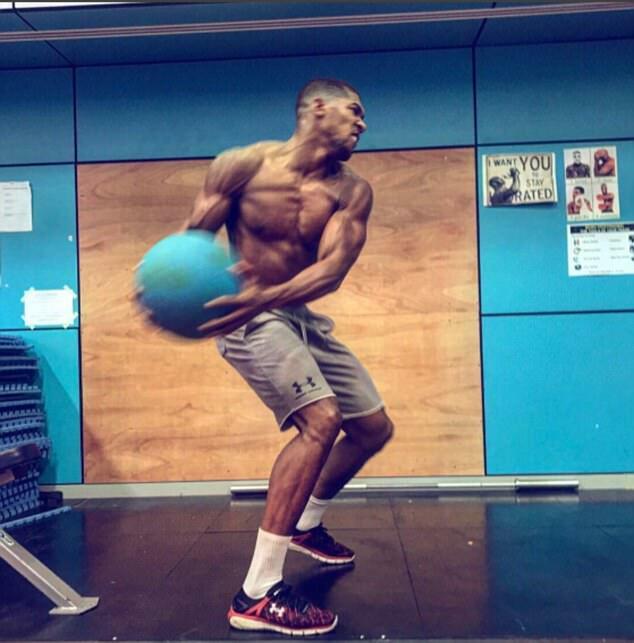 World heavyweight king Anthony Joshua has been busy in the gym preparing for his title fight against Kubrat Pulev in Wales next month – as his latest social media posts show. Unified champion Joshua’s next fight will take place at Cardiff’s Principality Stadium against mandatory challenger Pulev – nicknamed ‘The Cobra’ – on October 28. The 27-year-old from Watford – who also won gold at super-heavyweight during the 2012 London Olympics – unified the division when he felled the mighty Wladimir Klitschko in a gripping fight at Wembley in April. Joshua was been told he must face IBF mandatory challenger Pulev before December 2 or risk being stripped of that belt. But judging by his social media posts on Instagram and Twitter he is putting the hard yards in to ensure he is in the best physical shape he can be when he faces the 36-year-old Bulgarian. 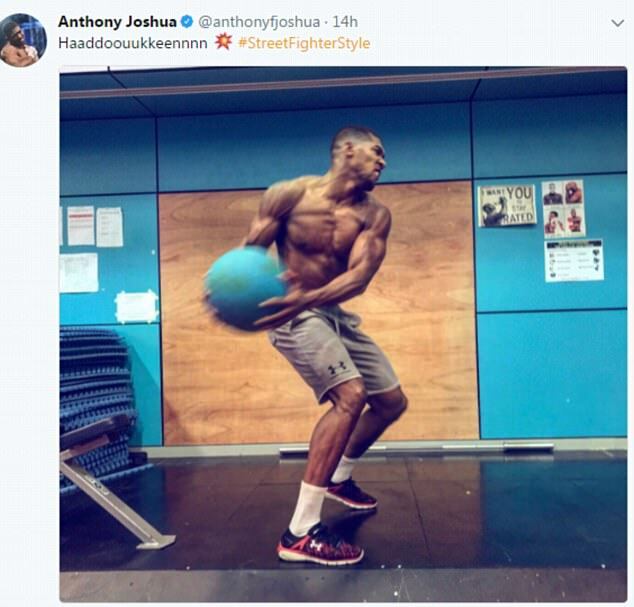 Working with a medicine ball, which can weigh up to 14lbs, Joshua wrote ‘#StreetFighterStyle Haaddoouukkeennnn’ – which is a reference to a special attack in the popular computer game series Street Fighter. 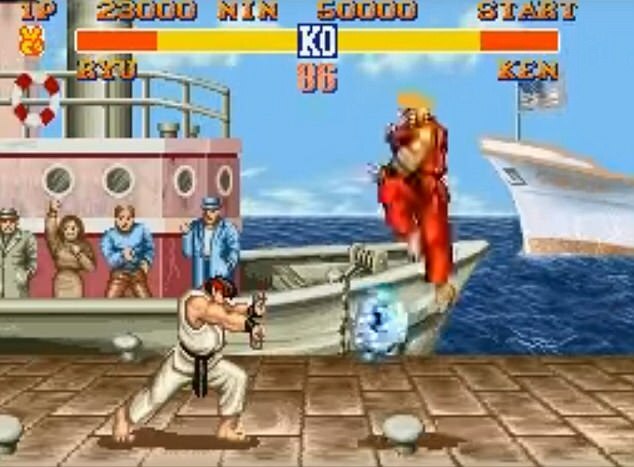 In the game, which has sold more than 40 million copies worldwide since the original format was released in 1987, the cry of Haudoken – roughly meaning ‘surge fist’ – is made when the participant leans forward to launch an attack on an opponent through a deep lunge, with the leading leg bent. 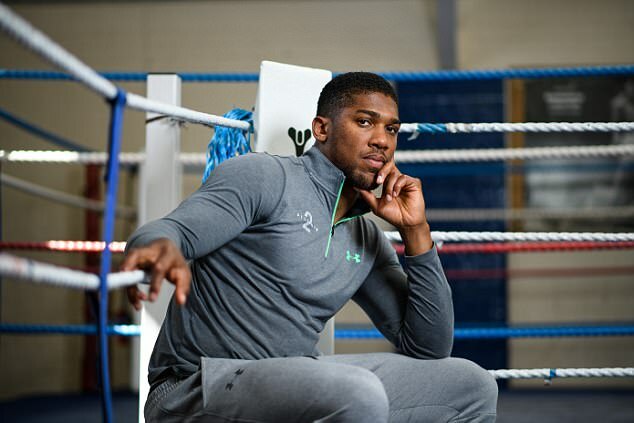 Though Joshua’s post appears light-hearted, he is sending a message to The Cobra that says he is ready to deliver serious blows on the Bulgarian. With the fight at the Principality Stadium next month near to an 80,000 sell-out through the efforts of Joshua’s canny promoter Eddie Hearn it will be interesting to see if the cry is replicated by the champ’s passionate supporters. 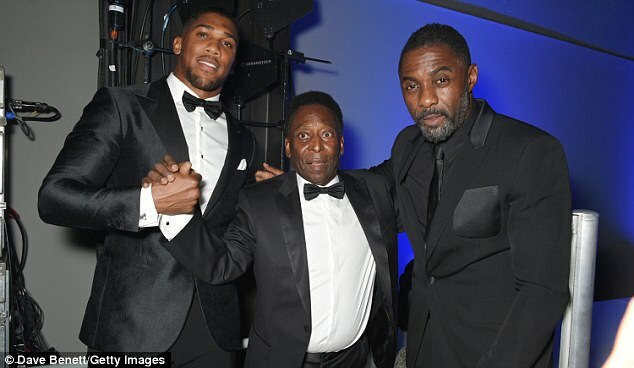 With Joshua looking good in the gym it’s been a memorable week for him all round after he claimed the prize of Sportsman of the Year at Tuesday night’s GQ Awards where he met Pele and actor Idris Elba.